Language Models (LMs) estimate the relative likelihood of different phrases and are useful in many different Natural Language Processing applications (NLP). For example, they have been used in Twitter Bots for ‘robot’ accounts to form their own sentences. In this post, we will first formally define LMs and then demonstrate how they can be computed with real data. 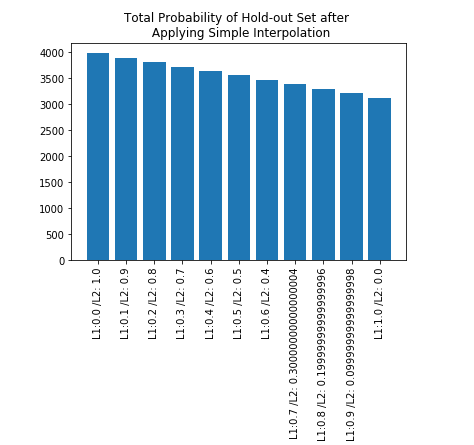 All the methods shown are demonstrated fully with code in the following Kaggle notebook. A model that computes either of these is called a Language Model. In general, no! There are far to many possible sentences in this method that would need to be calculated and we would like have very sparse data making results unreliable. 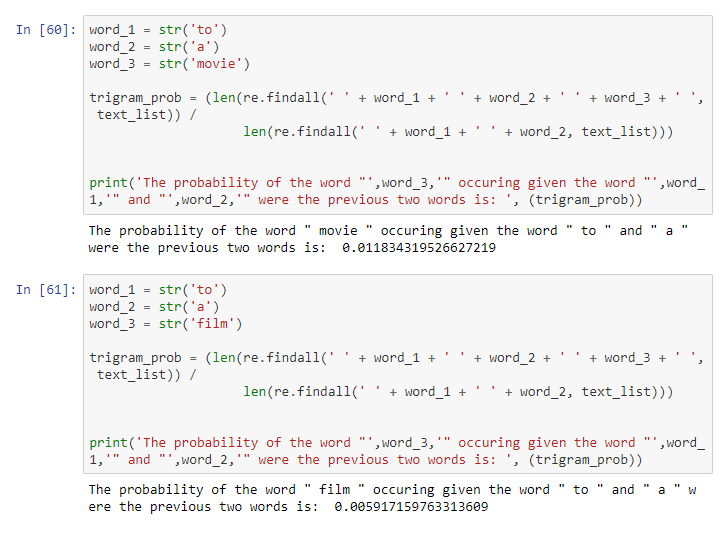 In other words, the probability of the next word can be estimated given only the previous k number of words. And the simplest versions of this are defined as the Unigram Model (k = 1) and the Bigram Model (k=2). These equations can be extended to compute trigrams, 4-grams, 5-grams, etc. In general, this is an insufficient model of language because sentences often have long distance dependencies. For example, the subject of a sentence may be at the start whilst our next word to be predicted occurs mode than 10 words later. 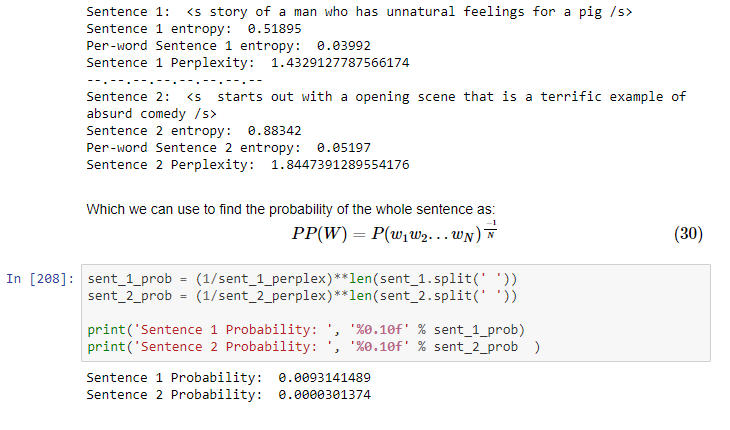 Given a corpus with the following three sentences, we would like to find the probability that “I” starts the sentence. where “<s” and “/s>” denote the start and end of the sentence respectively. I other words, of the three times the sentence started in our corpus, “I” appeared as the first word. 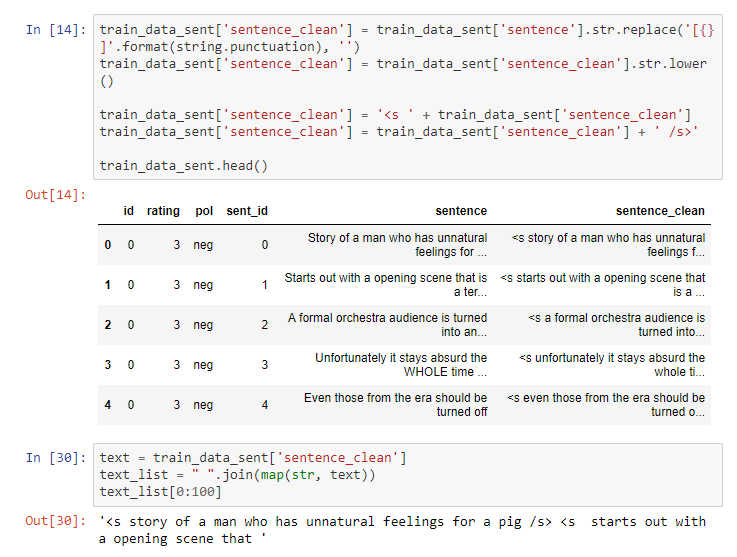 For this demonstration, we will be using the IMDB large movie review dataset made available by Stanford. The data contains the rating given by the reviewer, the polarity and the full comment. First, we convert the full comments into their individua sentences, introduce notation for the start and end of sentence and clean the text by removing any punctuation and lowercase all words. We do this because addition is typically computationally faster than multiplication. 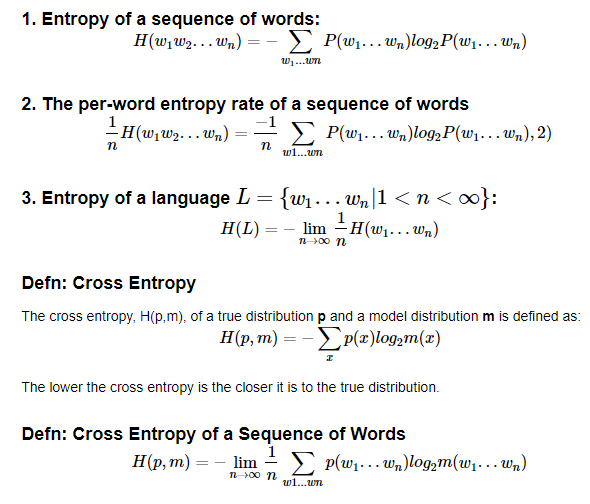 For example, with the unigram model, we can calculate the probability of the following words. So, for example, if we wanted to improve our calculation for the P(a|to) shown previously, we first count the occurrences of (to,a) and divide this by the count of occurrences of (t0). 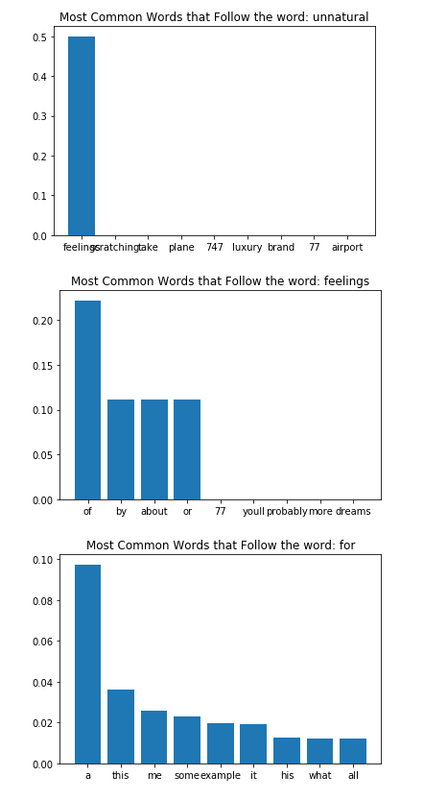 As mentioned, to properly utilise the bigram model we need to compute the word-word matrix for all word pair occurrences. With this, we can find the most likely word to follow the current one. However, this also requires an exceptional amount of time if the corpus is large and so it may be better to compute this for words as required rather than doing so exhaustively. Some words have many likely words to follow but others, such as “unnatural” have only one. This is likely due to there being few instances of the word occurring in the first place. These computations can be use to form basic sentences. We will fix the start and end of the sentence to the respective notations “<s” and “/s>” and will vary the columns chosen from the word-word matrix so that the sentences become varied. Therefore, the tri-gram phrase ‘to a movie’ is used more commonly than ‘to a film’ and is the choice our algorithm would take when forming sentences. The corpus used to train our LMs will impact the output predictions. Therefore we need to introduce a methodology for evaluating how well our trained LMs perform. The best trained LM is the one that can correctly predict the next word of sentences in an unseen test set. This can be time consuming, to build multiple LMs for comparison could take hours to compute. Therefore, we introduce the intrinsic evaluation method of perplexity. In short perplexity is a measure of how well a probability distribution or probability model predicts a sample. e.g. Suppose a sentence consists of random digits [0–9], what is the perplexity of this sentence by a model that assigns an equal probability (i.e. P=1/10) to each digit? where n is the number of positions and x is the number of molecules. and is a measure of uncertainty. In other words, entropy is the number of possible states that a system can be. 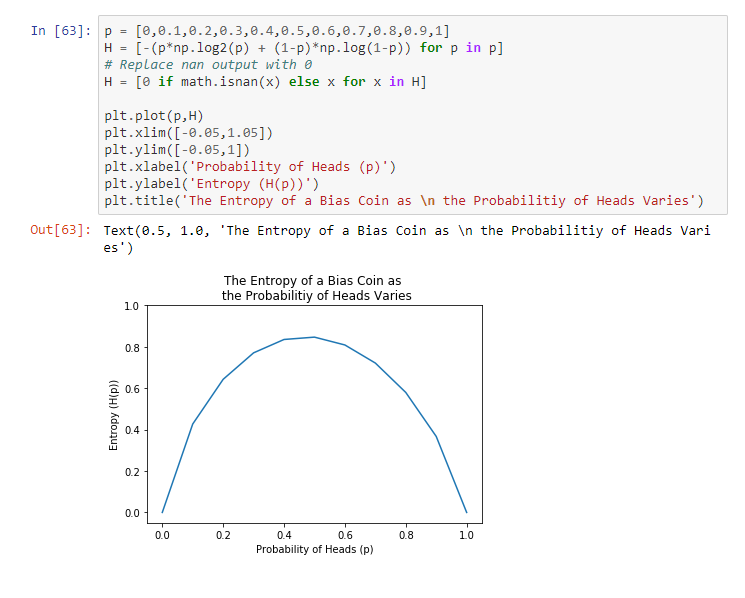 The full entropy distribution over varying bias probabilities is shown below. Due to the output of LMs being dependent on the training corpus, N-grams only work well if the training corpus is similar to the testing dataset and we risk overfitting in training. As with any machine learning method, we would like results that are generalisable to new information. Even harder is how we deal with words that do not even appear in training but are in the test data. To deal with words that are unseen in training we can introduce add-one smoothing. To do this, we simply add one to the count of each word. This shifts the distribution slightly and is often used in text classification and domains where the number of zeros isn’t large. However, this is not often used for n-grams, instead we use more complex methods. 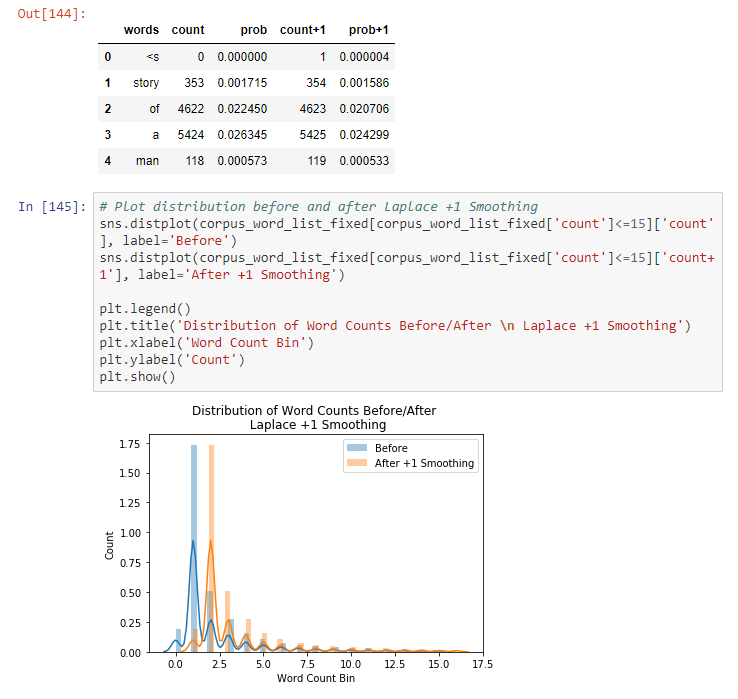 First, let us create a dummy training corpus and test set from the original data. 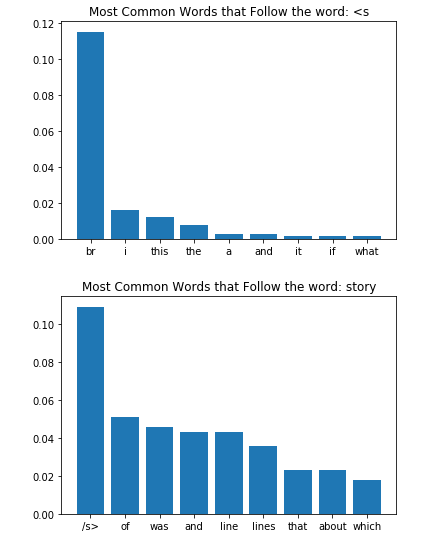 With this in our example, we found that 25% of the words contained in the small test set did not appear in our limited corpus. We have introduced the first three LMs (unigram, bigram and trigram) but which is best to use? Trigrams are generally provide better outputs than bigrams and bigrams provide better outputs than unigrams but as we increase the complexity the computation time becomes increasingly large. Furthermore, the amount of data available decreases as we increase n (i.e. there will be far fewer next words available in a 10-gram than a bigram model). Use trigrams (or higher n model) if there is good evidence to, else use bigrams (or other simpler n-gram model). In interpolation, we use a mixture of n-gram models. 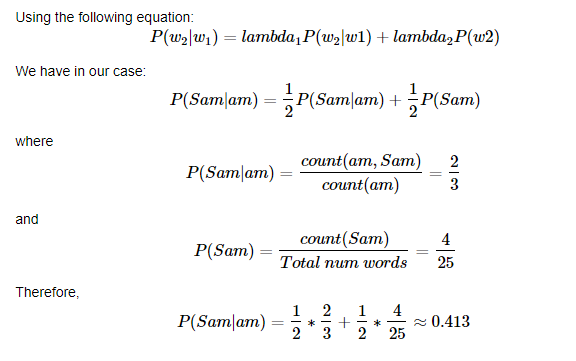 To calculate the lambdas, a held-out subset of the corpus is used and parameters are tried until a combination that maximises the probability of the held out data is found. and with the corpus defined previously from the IMDB source, we take a small subset (10%) of this as the ‘hold-out’ set. I hope this provides you with a decent introduction to language models and the code assists with your learning. 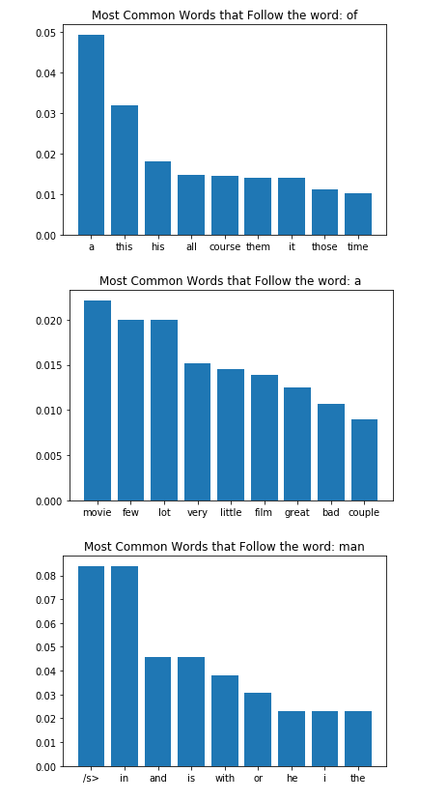 Learning NLP Language Models with Real Data was originally published in Towards Data Science on Medium, where people are continuing the conversation by highlighting and responding to this story. Previous articleWhat Defines an English Language Learner?